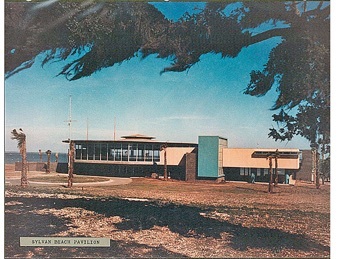 The 1956 Sylvan Beach Pavilion, located in La Porte’s historic Sylvan Beach Park on Galveston Bay, celebrates community values that generations of Harris County residents have associated with the Park. Social dancing, long a mainstay of the park, is celebrated in the pavilions design that features a 10,000 ft2 glass walled ballroom with a 3,600 ft2 circular dance floor. Whether the ballroom is used for dancing, or for listening to a music venue, or to provide banquet seating with a breathtaking view, the pavilion can continue to provide for our community as it was originally designed. Despite years of conscious neglect, this historic building has been successfully renovated, reinstating its status as the showcase venue on Galveston Bay. Just 5 years ago, in early 2008, the city and county governments announced plans to replace the Pavilion with a multi story hotel and convention center. The people organized and killed the hotel project by preventing the changing of the parks zoning from residential to commercial. To insure maximum impact of Hurricane Ike in September, 2008, no efforts were made by the City of La Porte or the County to secure the building prior to or after the storm. Although it was struck by several large sections of the Sylvan Beach Pier, the robust structure survived. However, the broken out windows were not boarded up for a month, allowing rain and wildlife to enter the structure. 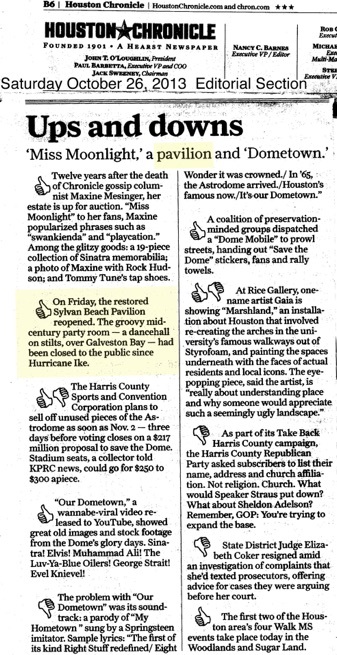 In July 2009, a Houston businessman offered to invest $1.4M to restore and reopen the Pavilion. His offer went unanswered while Harris County developed plans to obtain federal HUD funds to demolish and build a new ‘public storm shelter’ at Sylvan Beach. This grant was rejected in part due to the pavilion being deemed eligible for listing on the National Historic Register (NHR) by the Texas Historical Commissions (THC) in late 2009 based on our submitted nomination. Federal dollars can not be inadvertently used to alter or demolish a federally recognized historic structure. On 21 September 2010 the Texas Department of Rural Affairs (TDRA) announced that a $4.5M HUD CDBG for its full restoration with THC oversight. The TDRA stated that it is only because of our successful effort in achieving the NHR listing that this grant was awarded. However the County did not initiate the project until early 2011 following the election and swearing in of the new Precinct 2 Commissioner Jack Morman. On 1 April 2011 Harris County issued the Request for Qualifications (RFQ) for architectural services for the pavilions restoration. 15 architectural firms submitted high quality, competitive submissions. A panel of 6 county and 1 representative from FSBP&P reviewed and scored the written submissions, and then conducted interviews of the top 5 firms. On 21 June HC Commissioners Court approved the panels top choice by awarding John Kirksey Associates, Architects, Inc. the restoration contract. On 6 December, 2012 Harris County Commissioners Court approved SpawGlass Construction Corp. as the construction manager for the pavilion based on the evaluation panel that included 2 representatives from FSBP&P. Renovation work was completed in early July 2013 and Commissioners Court on 23 July approved a lease with Shafaii Inc., Party and Reception Center, Inc. to operate the pavilion for the next 4 years. modern party room’ that is the ballroom. pavilion events over the last 60 years. the top of this page for more information. to see if they can match your donation.  return often for updates and announcements.